Visitors are surprised to see how we display our collection. Our exposition has a modern design, which is unusual for newcomers. Mr. Bodnaruk, could you please tell us about the history of your museum? The Northern Maritime Museum was established in the 1970s as a departmental museum of the Northern Shipping Company. At first, its collection consisted of personal belongings and ship models donated by the company's employees. 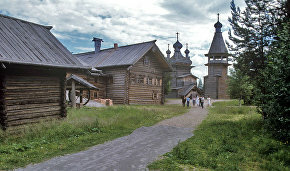 In 1991 the museum was transferred to the Arkhangelsk Region and became government-owned. This is the point of departure for its modern history. Initially, the museum was located in the same building as now but it was not adapted to its requirements. Therefore, in 2000 the authorities decided to renovate it, which lasted for over a decade. After all the difficulties, the renovation was completed and in December 2013 the museum reopened with a new permanent exposition. Credit for the new exposition goes to Merited Artist of Russia Yevgeny Bogdanov, who used his rich experience of working in museums. 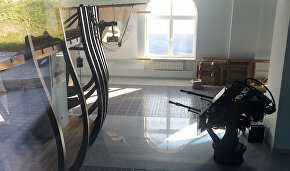 The exposition is entitled "Millennium of Northern Navigation" and is devoted to Russia's exploration of the Arctic. What are the most interesting items on display in the exposition? We have one unique item (to my knowledge, only one Polish museum has a similar item) — a fishing boat which the Pomors used to bring live fish to Arkhangelsk to sell. The boat has holes where the live fish are stored. Water fills the boat, which is being towed by a ship. This is how live fish were brought to the counter. Where do you find new items for your collection? There are many veteran seamen in the Arkhangelsk Region. They want to preserve the memory of their daily grind. So, many give us different items for free. In addition, local masters from Arkhangelsk make ship models. Our collection is substantial. We also buy precious and rare items from collectors. Arkhangelsk is called the gate to the Arctic. What items reflect the history of Russia's Arctic exploration? Our entire exposition is devoted to Arctic exploration, starting with the first Pomor settlements and ending with current expeditions. Special emphasis is laid on the expeditions of Russian Arctic explorers in the late 19th-early 20th century. This section is very popular both with schoolchildren and adult visitors of the museum. What produces the strongest impression on visitors? First, visitors are struck by the way the items are presented. The exposition is done in modern style and newcomers are surprised to see it. Second, visitors are impressed by the museum's broad coverage of topics. When foreigners come here, especially official delegations, they are surprised to see in Arkhangelsk a museum that presents materials on Arctic exploration in such a broad and interesting way. Does your museum host temporary exhibitions? Yes, it does. We host temporary exhibitions on topical subjects of navigation history on the second floor and in the lobby. The two most recent ones were devoted to the first Russian 1765-1766 high-altitude expedition, organized by Vasily Chichagov (1726-1809) and to the Great Patriotic War in the Arctic, which was entitled "Points of Victory." What museums do you cooperate with? We have signed agreements on cooperation with the Ivan Shemanovsky museum and exhibition complex (Salekhard). We also brought exhibitions here from the Arctic and Antarctic Museum (St. Petersburg). We cooperate both with local and federal museums. The Primorsky District Municipal Museum helped us organize several exhibitions. For instance, we carried out a very interesting exhibition project in 2013, which was devoted to the 400th anniversary of the start of the marine pilot service in Russia. One of the first pilots appeared in Arkhangelsk. This is why we decided to observe this date. 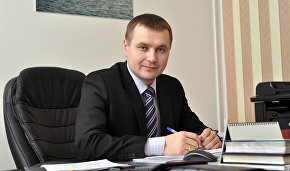 The Primorsky District Museum closely cooperated with us on this issue. 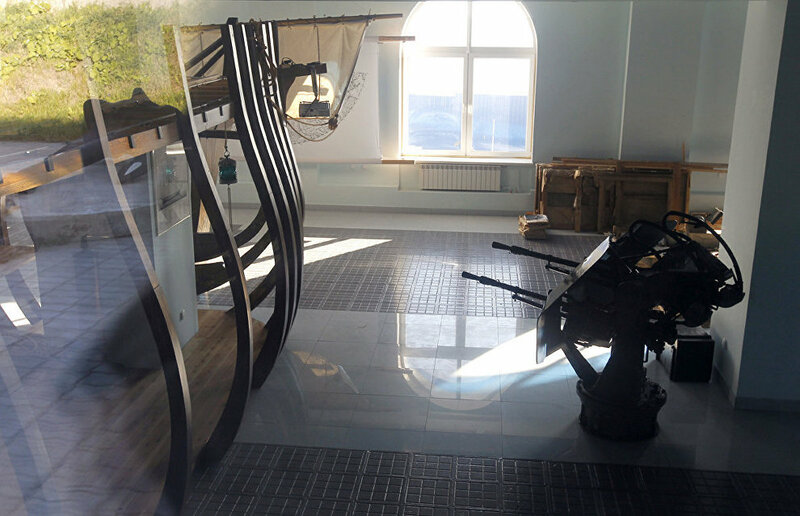 The Solovki Navigation Museum is also actively cooperating with us. They have lent us a very interesting exhibition "Cross and Beacon." This exhibition is travelling all over Russia and we hosted it as well. The Northern Maritime Museum is located on the North Dvina embankment in Arkhangelsk. The exposition is devoted to the exploration of the Arctic, polar studies and the history of navigation and shipbuilding in Pomorye.